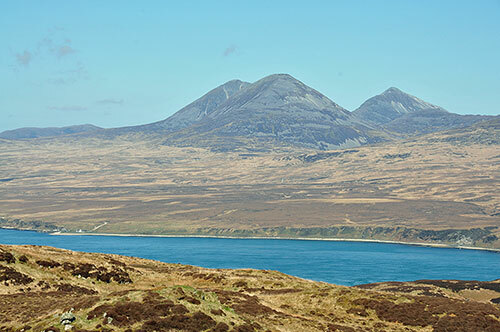 This is a view from Dùn Bhorariac across the Sound of Islay to Jura. Of course the main feature on Jura the three Paps of Jura. While we were walking on Islay another group had climbed Beinn a'Chaolais, the Pap closest to us. That's all I've got for tonight. I'll post a larger version of the picture on the Islay Pictures photoblog on Saturday. Good night and have a great weekend!